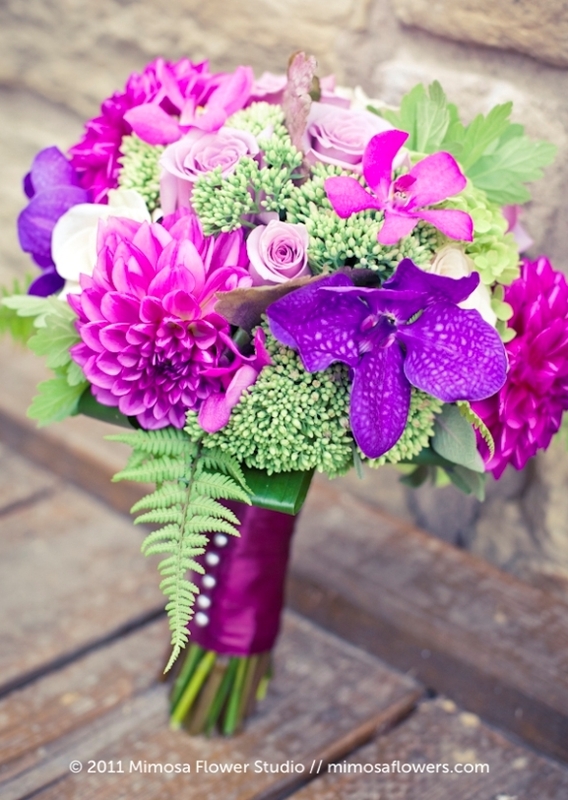 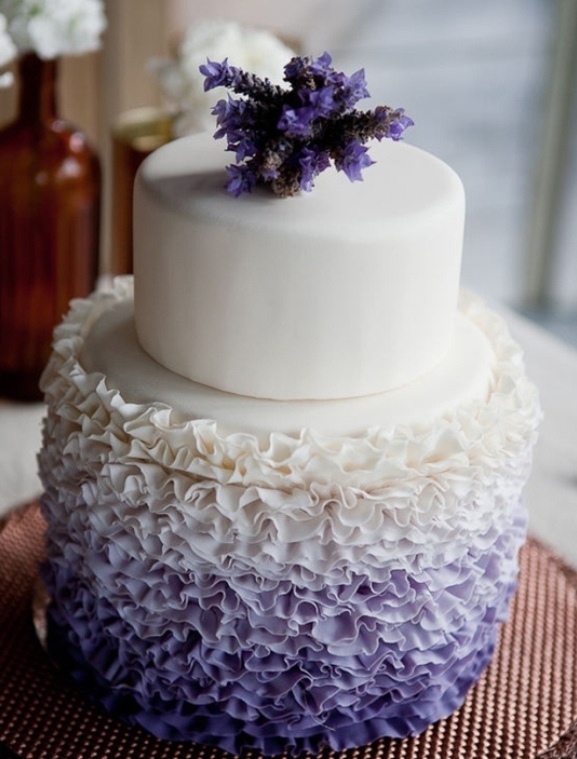 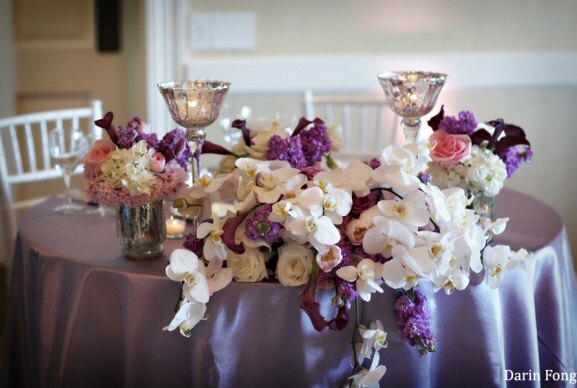 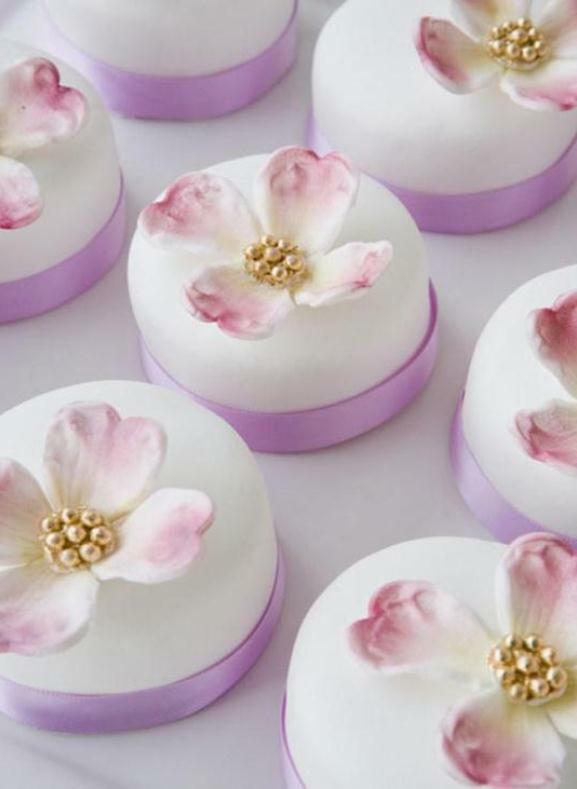 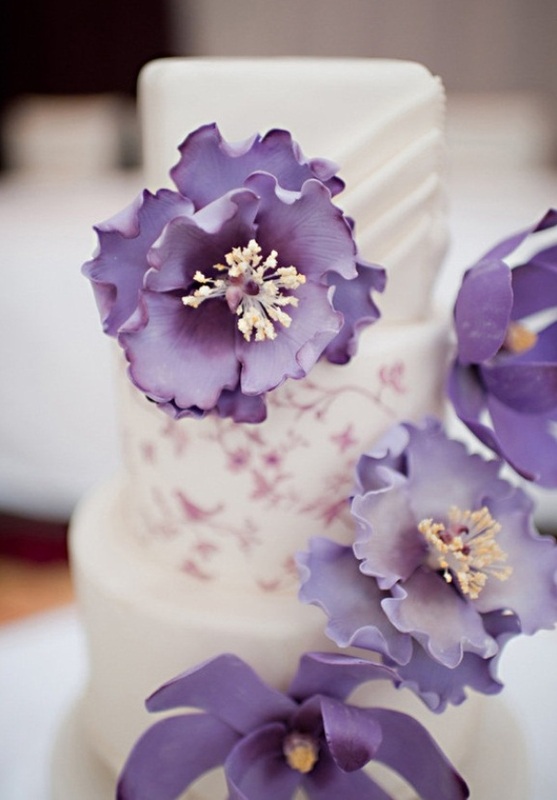 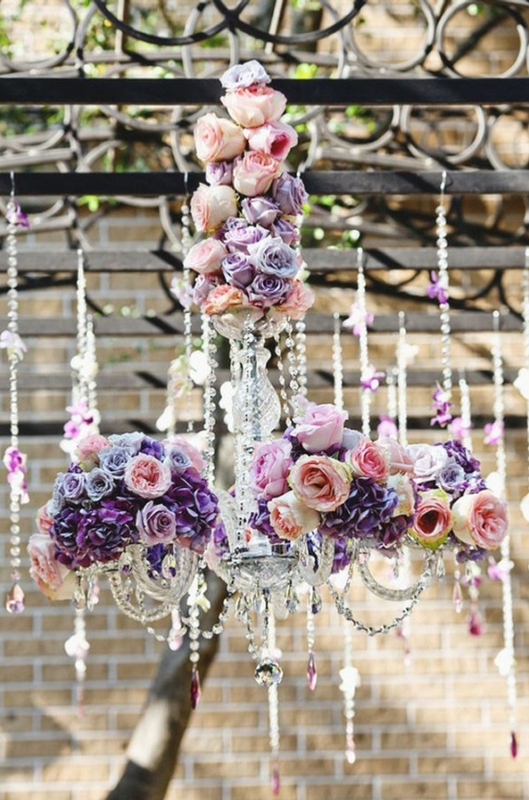 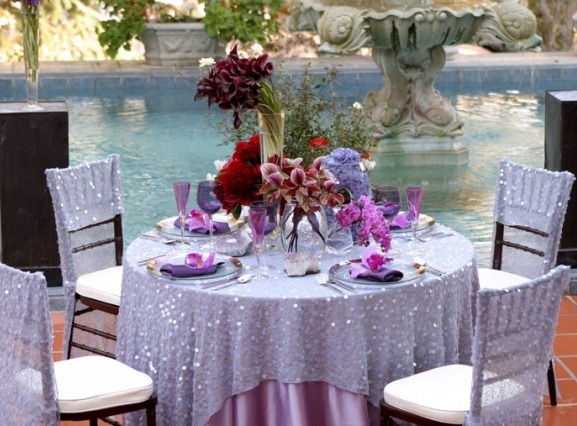 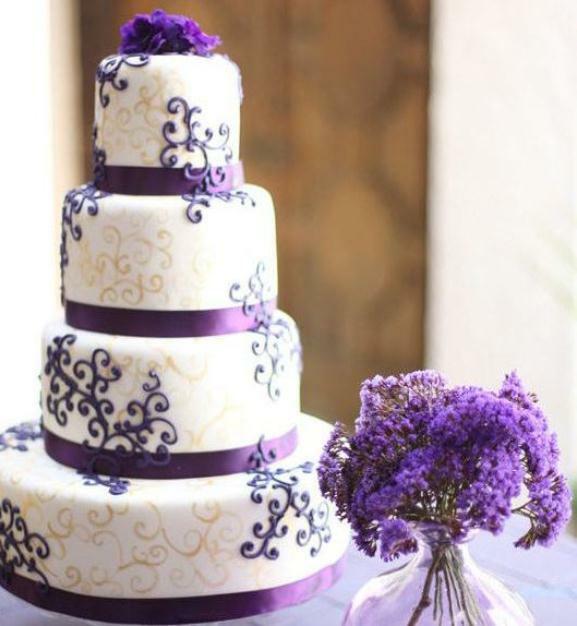 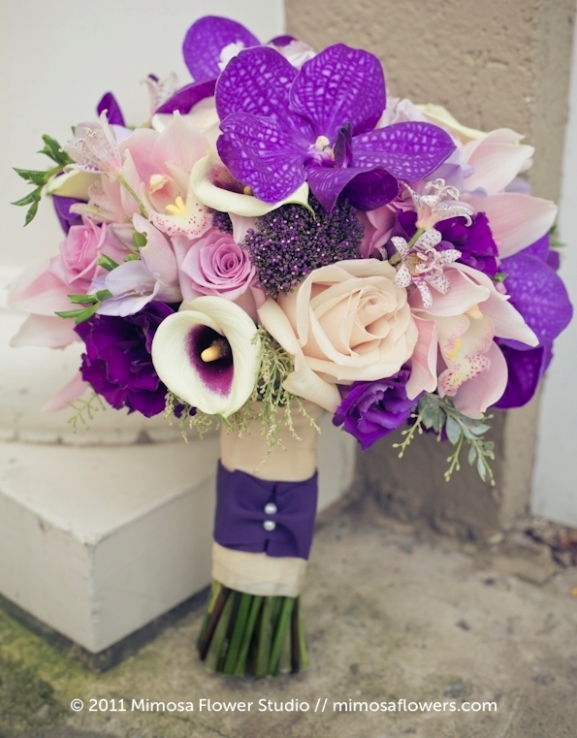 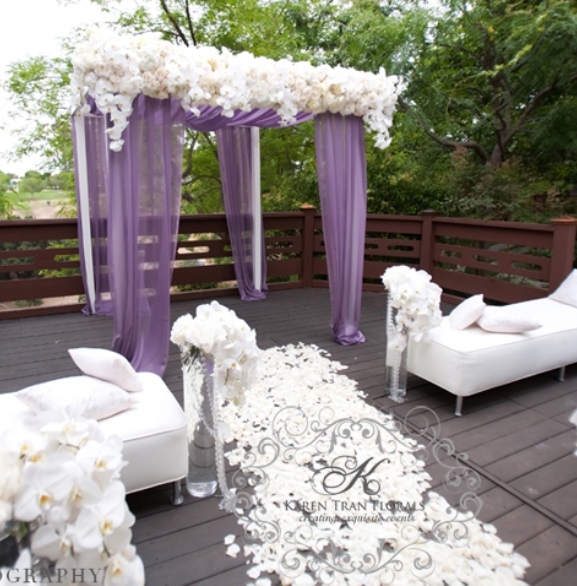 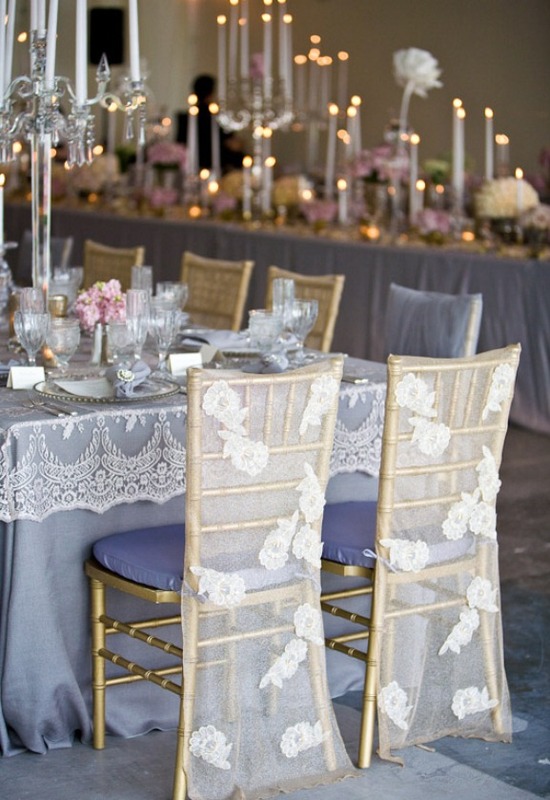 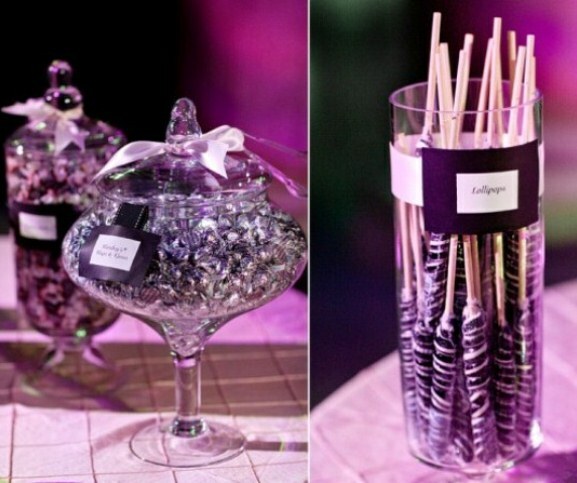 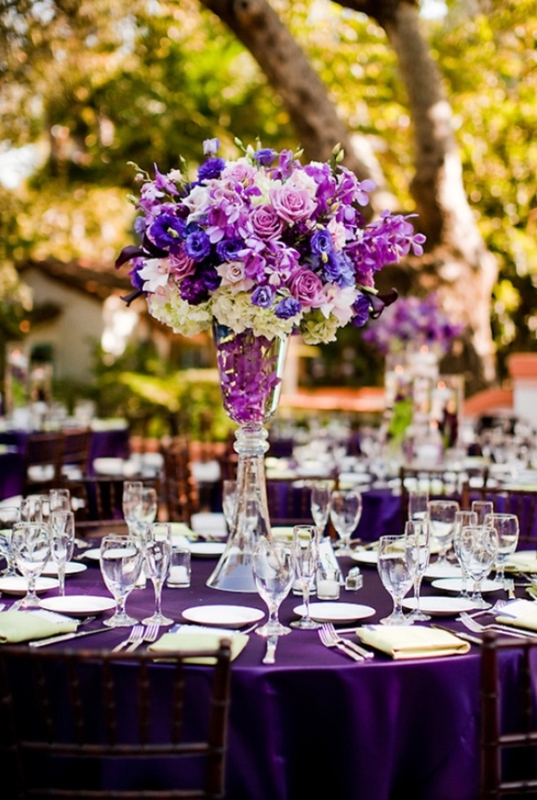 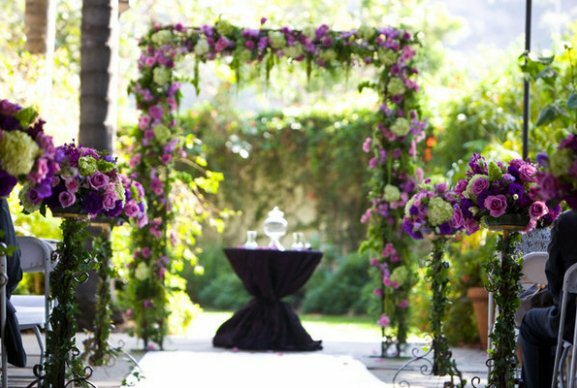 Coordinate your purple wedding theme colors with touches of purple lavender or lilac with white. 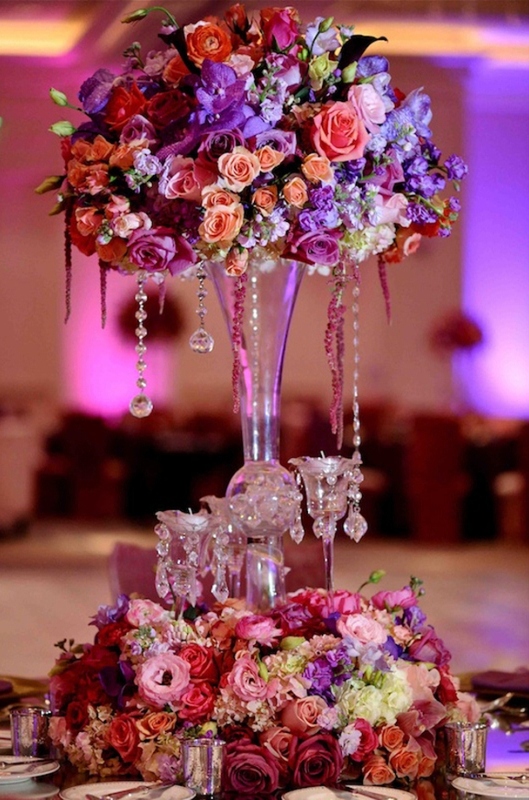 Or you can add another shade of color to create a contrast with the purple, such as hot pink, Fuchsia, green, teal blue and yellow combinations. 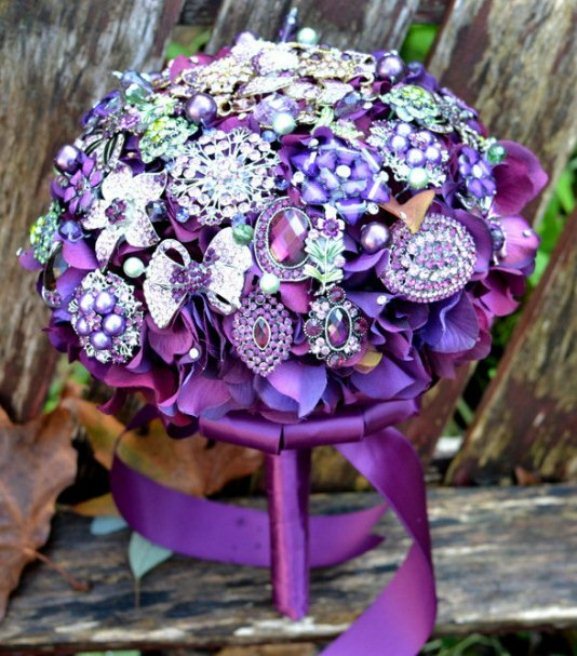 The new trend now is picking the maid of honor in darker shade or purple and the rest of bridesmaids in lavender or silver. 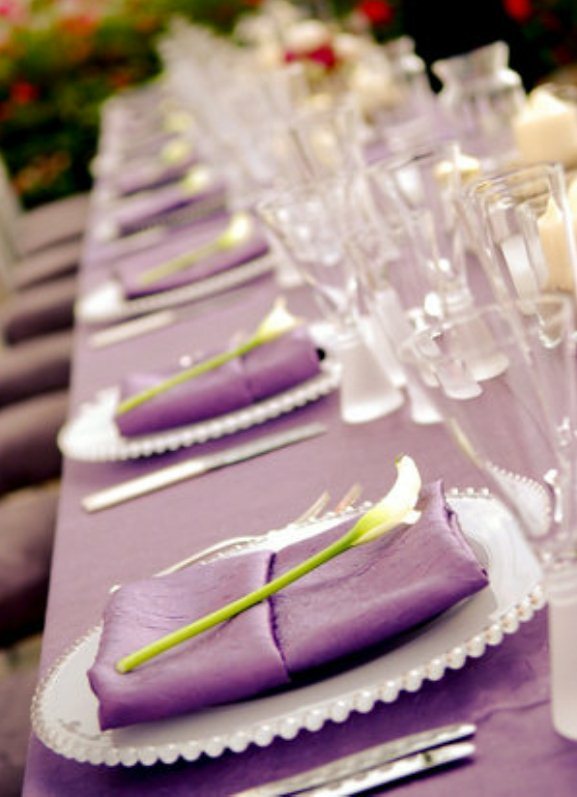 You can also use napkins a lighter shade of purple than the table cloth. 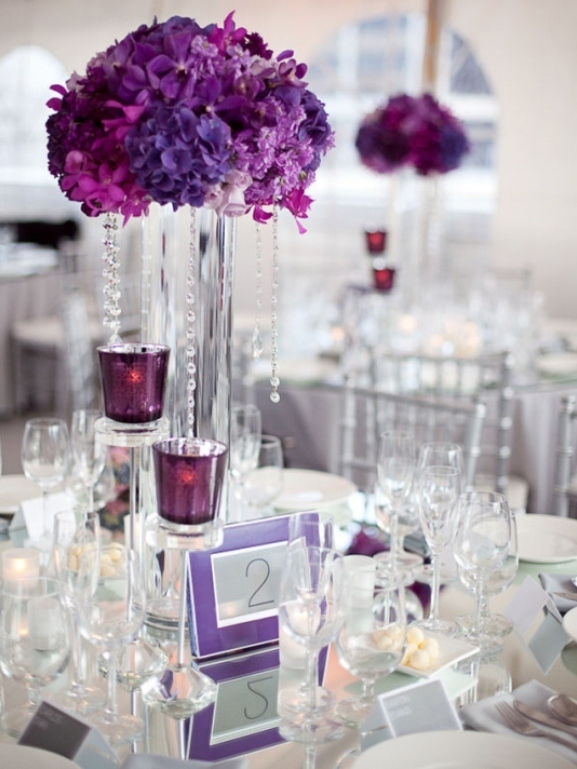 Add napkin rings with a different color of silver or fuchsia to create a contrast and harmonious reception design. 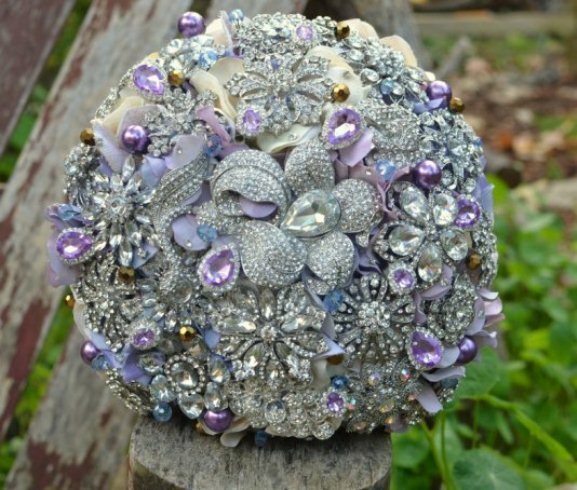 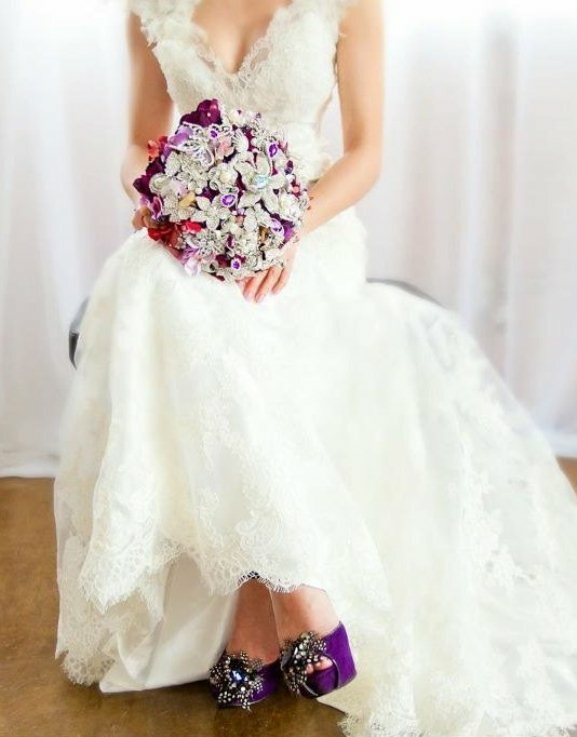 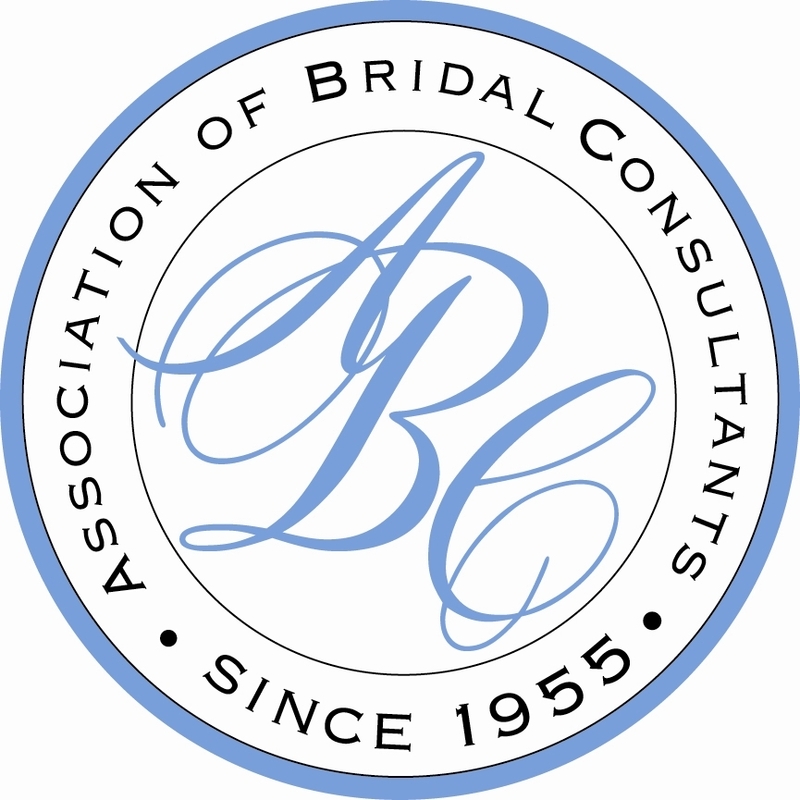 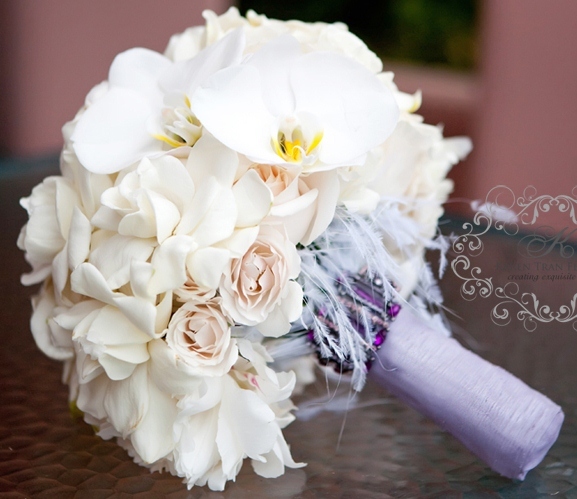 You can aslo add purple or lavender satin ribbon or wedding bouquet jewelry to a white bouquet to create an elegant, sophisticated and stylish design. 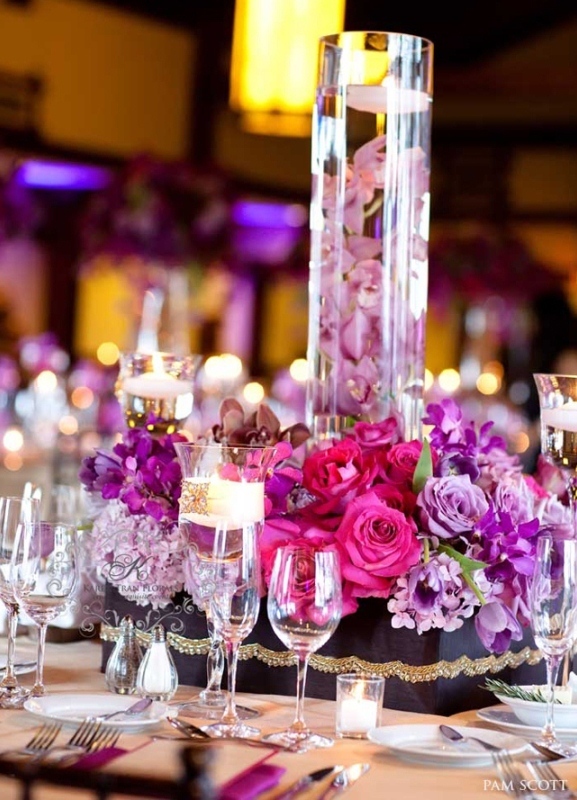 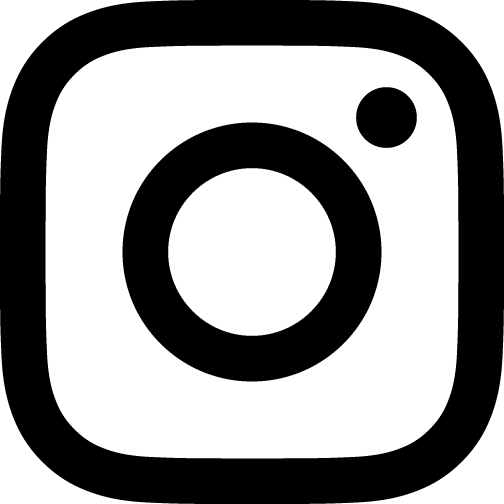 At Wedding Romantique Blog, we are continually looking for elegant and stylish ideas for your wedding and reception, we will be glad to help you create sophisticated and elegant wedding theme that matches you style and budget.